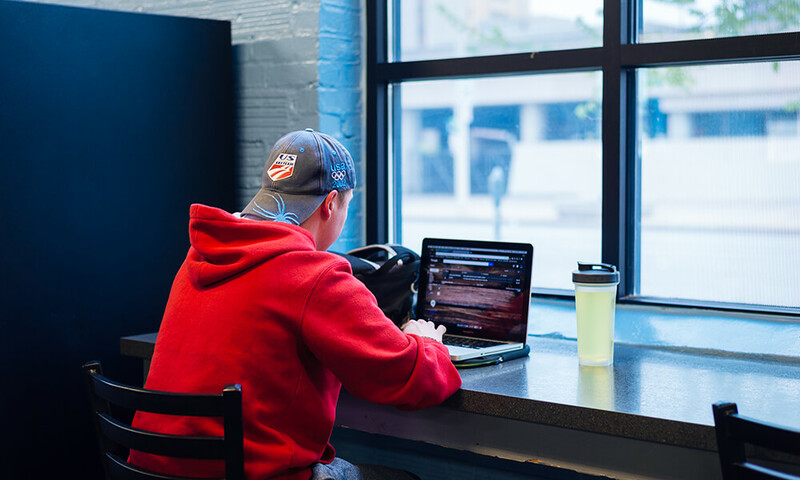 Surf the net on the free Wi-Fi, watch one of the huge HDTV’s, choose a book or magazine from our lending library, enjoy a drink or snack from the vending machine or strike up a conversation with one of our friendly attendants! We want you to feel as comfortable here as you would in your own home. Our attendants are here from 9:00 AM – 6:00 PM every day except Sunday (Sunday’s hours – noon – 6:00 PM). It’s always nice to see a familiar face, so feel free to get to know our staff. They are here to help you and to make sure that you feel welcome and safe. 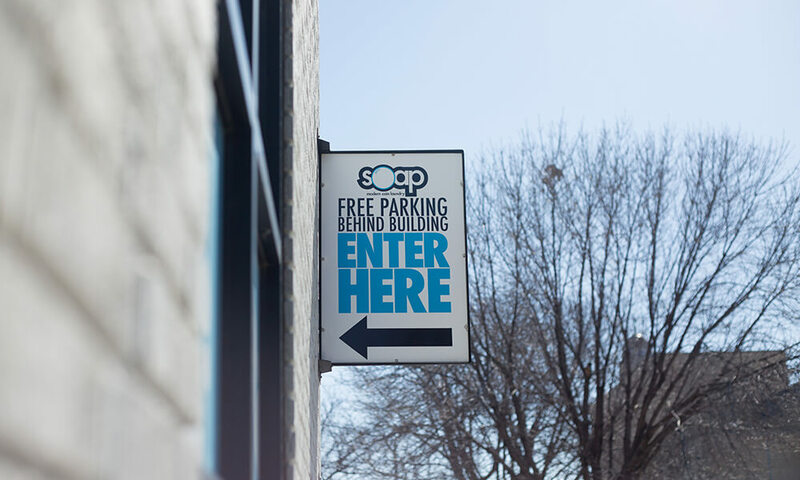 Soap is conveniently located on South 16th Street in Lincoln, just south of O Street. Enjoy free parking in the back of the building. 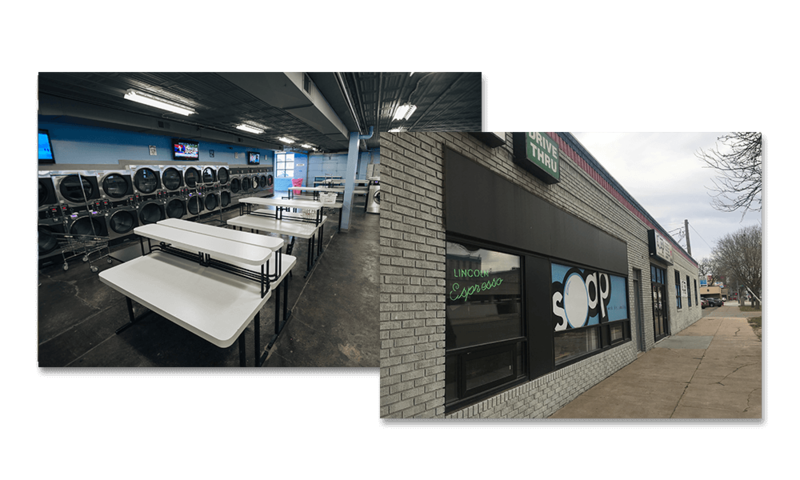 Soap is nothing like the Laundromat that you might have visited with your mother as a kid. The renovated warehouse at 16th and O is a clean and inviting atmosphere with all of the modern conveniences. Soap is dedicated to providing quality service in a welcoming environment. From the minute you walk in the door, you’ll know you’re witnessing a New Spin on Clean!